What steps should I take after a cerebral palsy diagnosis? Finding out your child has a disability that requires life-long care can be traumatic and frightening for parents. Understanding the disability, the challenges it presents, and the legal options available to you can help you decide what to do after a cerebral palsy diagnosis. 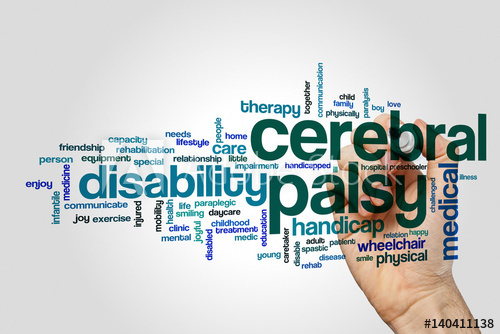 Cerebral palsy is a serious central nervous system disability that can have wide-ranging, adverse effects on a child and will often impact movement and posture, as well as cognitive development. This disease and its treatments can be incredibly costly, as people with this disability often require a number of supportive care services, including special medical care, tailored education and social services, and the use of assistive devices such as braces, walkers, and wheelchairs. Over a lifetime, these necessary services cost an average of $921,000 per person, according to a Centers for Disease Control and Prevention (CDC) Morbidity and Mortality Weekly Report (MMWR), published in 2003. Caring for someone with cerebral palsy can be extremely expensive. However, if your child's cerebral palsy was caused by oxygen deprivation during the birth process, you may be eligible to seek compensation for medical malpractice related to a birth injury. Find the right pediatrician. Look for a doctor who has experience treating children with cerebral palsy and can develop a treatment plan that meets your needs, as well as address any concerns you may have. Hire an attorney. A knowledgeable personal injury attorney can help you pursue compensation for your child's birth injury and work to ensure you receive a fair settlement offer. If you're considering taking legal action in a birth injury case, the skilled personal injury attorneys with the Holton Law Firm can provide the honest, yet aggressive, representation you need. Contact our Memphis law office today to schedule a free initial consultation about your case. You can also request a free copy of our eBook, Answers to Parents' Questions About Birth Injuries, for more information. Can a doctor’s mistake cause both birth defects and birth injuries? 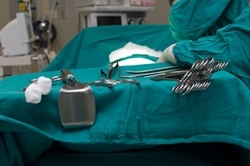 Birth-related medical malpractice happens when a medical professional or a hospital fails to use reasonable care during a woman’s pregnancy and the labor and delivery of her child. When anyone on the medical staff acts negligently, it can cause a birth defect and/or a birth injury that may affect a child for the rest of his life. Every 4.5 seconds, a baby with a birth defect is born in the U.S., according to the Centers for Disease Control and Prevention (CDC). 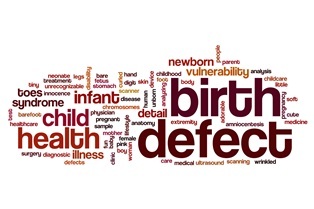 A birth defect is a structural change that occurs at birth and can impact almost any part of a baby’s body. This change may affect how the body part looks, functions, or both. It can last a lifetime or even end in death. One common birth defect is cerebral palsy, and a child with this condition will typically have difficulty controlling muscle motion. 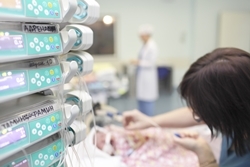 A newborn may suffer from cerebral palsy for a variety of reasons, including not getting enough oxygen flow to the brain (referred to as hypoxia) or enough oxygen to the body (referred to as asphyxia). Umbilical cord problems and excessive hemorrhaging during pregnancy or delivery can also cause cerebral palsy. Often, a doctor’s mistake or series of mistakes is the cause of a birth defect that could have been prevented. If you believe a doctor, nurse, or other medical staff member injured your baby or is responsible for a birth defect, it’s important to contact an experienced attorney. At the Holton Law Firm, we want to put our combined years of experience to work for you. To begin a conversation with a member of our team, contact us today. A doctor must meet an expected standard of care each time he cares for a patient, which includes making good decisions during a complex birth. If the doctor who delivered your child used excessive force or pulled the baby from the birth canal by an arm extended above the baby’s head, damage to the child’s nerves can result—known as Klumpke’s palsy. It’s important to understand this condition, how you can identify it, and how a lawyer can help determine if you have a birth injury lawsuit. 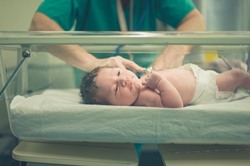 These scenarios may lead a doctor to use more force when helping the baby exit the birth canal and pull too hard or pull on the baby’s arm, which is often extended over the baby’s head. This extra force can lead to injuries resulting in Klumpke’s palsy. Pain. It’s not uncommon that nerve damage results in pain. This may be connected to how the nerves heal and if any scar tissue exists. Stiffness. Because the pain limits mobility during the healing process, it’s possible joints and muscles will become stiff and difficult to move, or they may even stay rigid after the injury is healed. Permanent disability. The nerves in the brachial plexus could heal improperly, failing to restore connectivity with the brain and losing functionality entirely. Loss of feeling. It’s possible that scar tissue or improper healing will result in loss of feeling in the shoulder, arm, and hands. Atrophy. Nerves can take a while to heal, and it’s important to keep in mind that some nerves must regrow. As this happens, your baby’s muscle might atrophy—which could mean muscle deterioration or prolonged weakness. During childbirth, if a baby’s nerves were simply stretched, the injury typically heals more easily. If the baby’s nerves were torn, the injury may be improved by engaging in prescribed physical therapy to keep the joint active and get blood flowing to the area. Additionally, a doctor may recommend surgery to remove scar tissue if he believes the injury isn’t healing as well as it needs to. 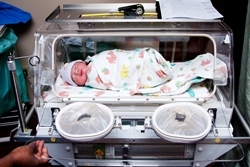 If your baby suffered injuries during delivery, you should speak with an attorney. The legal team at The Holton Law Firm can review your case, help determine if you have a birth injury case, and provide superior representation, if necessary. To get started on your case, contact a team member today by calling our toll-free phone number. 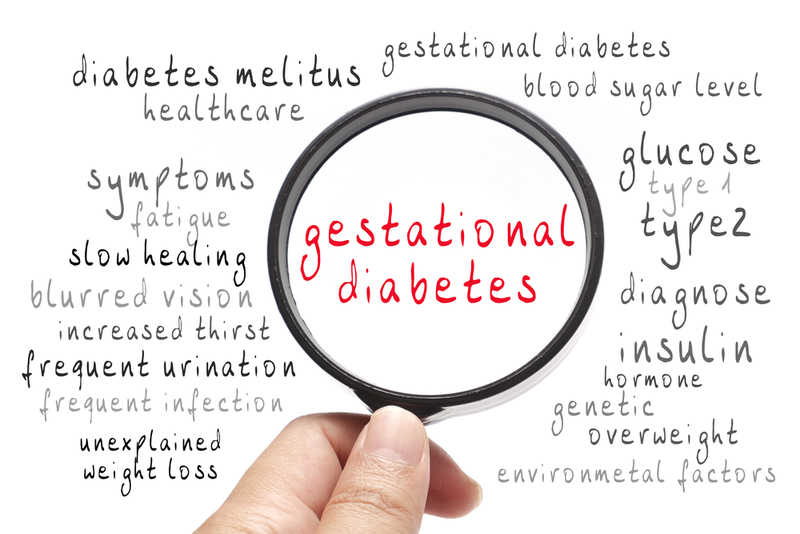 What is gestational diabetes and What Risks are Involved? A 2014 report from the Centers for Disease Control and Prevention (CDC) estimated that gestational diabetes (GD) affects between 1 to 14 percent of births each year in the U.S. If you’re pregnant, it’s important to understand the risks of GD and how it can impact you and your baby. Gestational diabetes usually occurs with women in late pregnancy who have never had diabetes. It’s often marked by high blood sugar levels and low insulin production, and these changes can affect how a woman’s body processes and uses sugar. Usually, women who experience GD will see their blood sugar return to normal after delivery, but these women are also at a high risk of developing Type II diabetes. Excessive birth weight and size. Typically, a baby’s head is the largest presenting body part, but GD can lead to enlarged chest and shoulders, as well as cause excessive birth weight. Pre-term birth. If the mother has high blood sugar, it may increase her risk of delivering early. 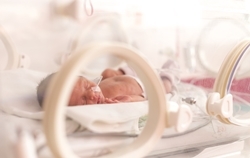 Babies who are born prematurely may suffer from respiratory distress syndrome. This condition makes it difficult for babies to breathe normally. Type II diabetes later. Babies whose mothers experienced GD may be more prone to obesity later in life and, therefore, may have a higher risk for developing Type II diabetes. Hypoglycemia. If a baby’s insulin production is high because his mother’s is low, he may experience low blood sugar (hypoglycemia) at birth, which can be normalized through feedings and medications. If medical professionals failed to test you for GD or failed to manage your case properly, you may be entitled to compensation for your injuries or those to your newborn. To ask questions and learn more about how to proceed with a birth injury lawsuit, call the experienced team at the Holton Law Firm. You can reach us at 888-443-4387. If a baby is breech—positioned to exit the birth canal feet or buttocks first—a doctor may have to change his delivery method. Although only 3 – 4 percent of full-term births involve a breech position, according to the American Congress of Obstetricians and Gynecologists (ACOG), mistakes or unpreparedness in delivery of a breech baby can lead to brain trauma, bleeding, asphyxia, lifelong disability, and even death. Frank breech: The most common type of breech position is a frank breech that occurs when a baby pikes and prepares to exit the birth canal buttocks first. Complete breech: When the baby’s body contorts into a cannonball shape—hinged both at the knees and the hips into a tuck—and prepares to exit buttocks first, a complete breech occurs. Footling (incomplete) breech: As the name suggests, a footling breech happens when one foot or both feet will exit first. This can often mean a baby’s hips enter into a problematic position, as well. Why Do Breech Positions Occur? Fetal distress. This can occur when there are issues with the umbilical cord. Complications can include the cord becoming compressed or wrapping around the child’s neck. Nerve damage. This can occur from excessive compression during attempts to dislodge the baby from the mother’s birth canal. Head and spine injury. This can occur when the baby’s head becomes stuck in a small birth canal, sometimes leading to bleeding and permanent disability. Low APGAR scoring. This can indicate a traumatic birth. If your baby suffered a traumatic birth injury because a doctor mishandled a breech position, the attorneys at the Holton Law Firm can help. To speak with an experienced attorney about your case, fill out the online contact form on our website. For every 1,000 babies born in the U.S., nearly 6 die in their first year, according to a 2014 report by the Centers for Disease Control and Prevention (CDC). Sometimes, babies are born with birth injuries that may be caused by medical negligence—which occurs when a doctor fails to meet accepted standards of practice when caring for patients. If your difficult delivery resulted in injuries to your newborn, you might wonder if you have a negligence case. There are many factors a lawyer will consider when making a determination of medical negligence. If you and your delivery staff know something is wrong when your baby is born, the first priority is to ensure the baby is given proper treatment and medical attention. Then, if you have questions about what mistakes may have transpired during labor, speak with a trusted attorney as soon as possible. The best way to determine the validity of your case is to speak with someone who has decades of experience handling birth injury lawsuits. Again, speaking with a lawyer is the most effective method of determining whether or not a doctor’s mistakes caused your newborn’s injuries. The Holton Law Firm has been trying birth injury lawsuits since the 1980s, and we can assist you with your case, too. Call 888-443-4387 to speak with a member of our team.